If you want success in the kitchen, DK's new Step-by-Step Series will take you through every single stage of classic recipes with clear, illustrated, step-by-step instructions that guarantee you will be cooking with confidence. Presenting two hundred recipes in clear, step-by-step sequences — with every single stage demonstrated — Step-by-Step Bread covers Classic Breads and Artisan Breads, Flat Breads and Crisps, Quick Breads and Batters, as well as Sweet Breads. 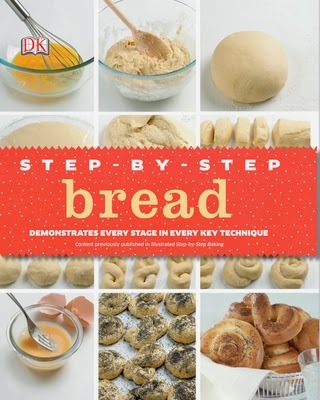 Step-by-Step Bread is packed with clear instructions, essential information on ingredients, special equipment and storage, and the world's favorite recipes. I chose to try and make Hefezopf. 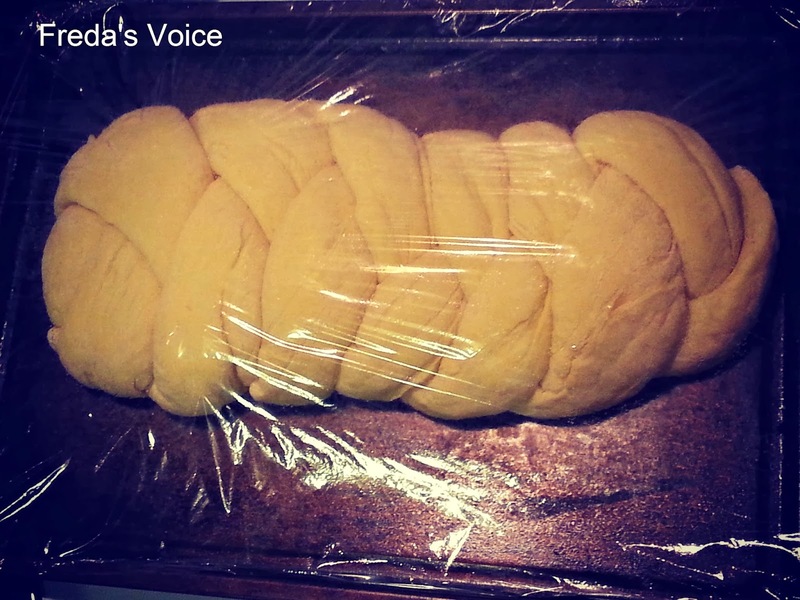 It's a German sweet bread, known as The Braided Bread. It flipped my switch so I got to it. It takes lots of time to make, but really they say good things take time. This was the second loaf I made. The first I gave to my uncle to enjoy. This one I kept for my family to eat. This was as it was waiting to go in the oven. It smelled so good in my house, and then to taste the bread and its sweetness from the milk. 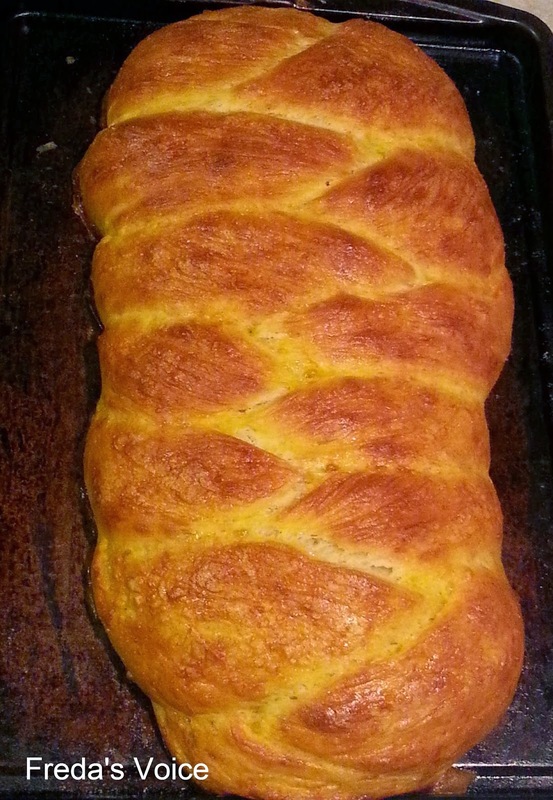 It is one of those breads that you can do a lot with. My recipe suggestion is to break some up in a bowl for breakfast. Pour warm milk over it, and add raisins as well as sprinkle some cinnamon on it. It is a breakfast fit for champions! So delicious and filling on these chilly winter mornings. I can't wait to try some more of these breads out. But this Hefezopf is going to be a family favorite from here on out! I love fresh, homemade bread! I would like to learn to make more varieties. I hopped over from the Nonfiction Challenge reviews page. What a beautiful loaf of bread! I love DK books, but hadn't heard of their step-by-step series. Sounds great! Yum! 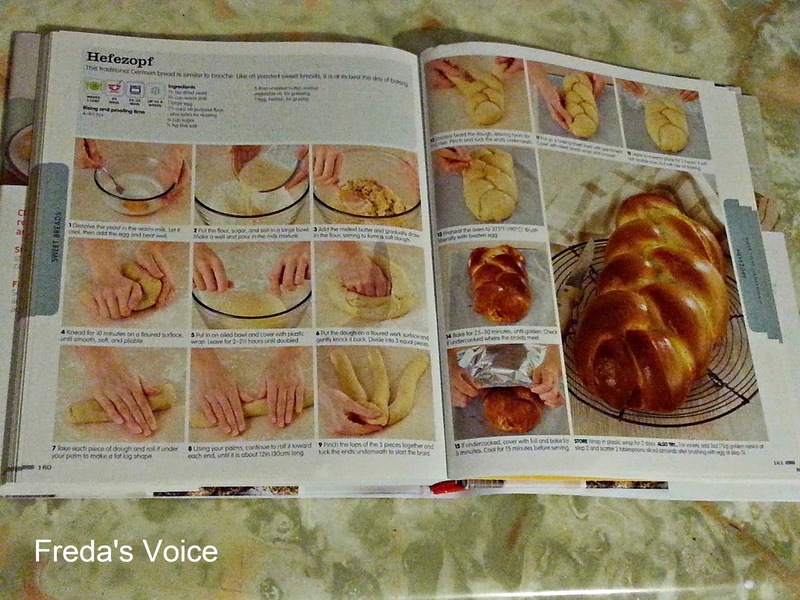 Sounds like a great book and some yummy bread!